The all-party delegation will assess the situation in Kashmir and chalk out a future strategy. 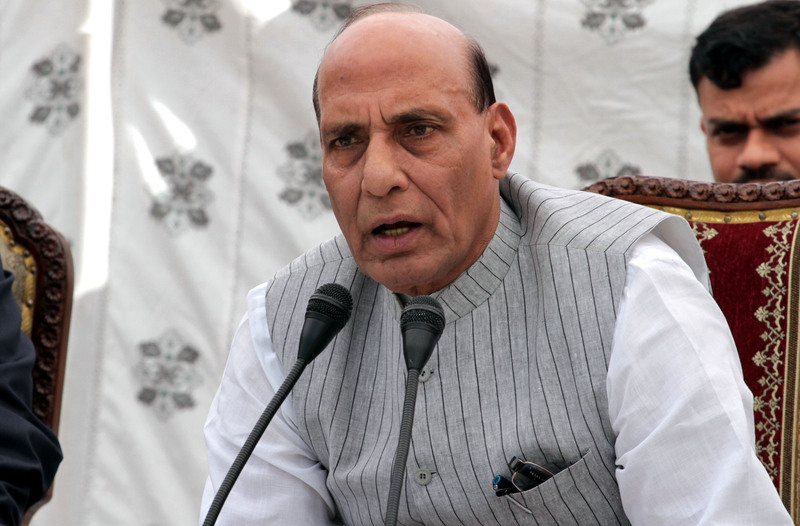 Rajnath Singh will chair a meeting of the all-party delegation which visited Kashmir to find solution for restoring peace in the Valley. The delegation will meet today in New Delhi. Ahead of all party meeting, Home Minister Rajnath Singh held a crucial meeting in New Delhi yesterday, which was attended by Finance Minister Arun Jaitley, BJP President Amit Shah, Minister of State in PMO Jitendra Singh and Party General Secretary Ram Madhav. The meeting came close on the heels of Home Minister’s return from Jammu and Kashmir after wrapping up his two-day visit to troubled Kashmir. Talking to reporters after the meeting Ram Madhav said, the meeting deliberated on the Kashmir situation and that future course of action will be decided after the all-party meeting to be held today. Yesterday, Home Minister briefed Prime Minister Narendra Modi on the situation in Kashmir and apprised him about the ground situation of the state assessed by the all-party delegation led by him. Before winding up the visit in the Valley, the Home Minister sent out a clear message to separatists, asserting that Jammu and Kashmir will always remain an integral part of India. He, however, said as far as talks are concerned, doors are open to everyone who want peace and normalcy. Hurriyat leaders S.A.S. Geelani and Mirwaiz Umar Farooq had refused to meet a group of the all-party delegation that went to Srinagar to hold meetings with all the stakeholders in the state. However, Jammu Kashmir Liberation Front chief Yasin Malik met with the delegation. The delegation was in Srinagar on Sunday and had visited Jammu before returning to Delhi.